So my woes from a recent tire rotation continue. 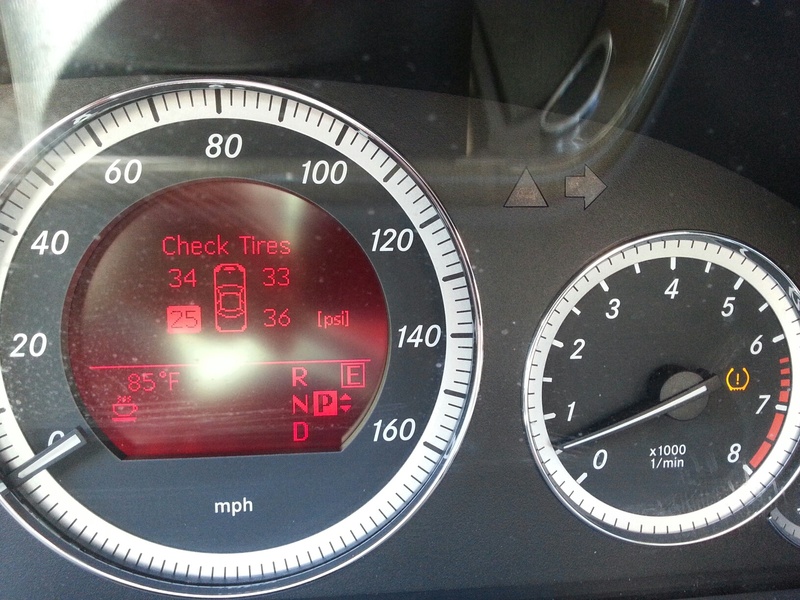 When I go to check the individual tire pressure reading (under Serv/Tire Pressure), I am no longer seeing each tire. Instead I am greeted with a Tire Pressure Monitor Active message. The first time I saw it was as I was driving off from the tire shop, the individual readings were there at first, but a moment later the message changed to just Active. Each time I've gotten a tire rotation prior to this, the Tire Pressure screen will update on its own with the new locations without me having to reset the system. One time it took maybe 5 or 10 minutes of driving to recognize the front were on the rears and vice versa. So I thought driving some more might help - not so far. Since getting this message instead of the individual readings, I have driven over 100 miles with with intervals of 15 or more miles above 10 mph. I thought maybe I could hard reset the system by pulling the fuse (#70 in the trunk). Doing that gave me the TPMS Inoperative message but after replacing the fuse and driving for a while (at least 15 minutes and 15 miles) the readings did not return (still only says Active). So I thought maybe I have a bad sensor even though there is no warning on. Well I went back to the the tire shop and they checked each tire (twice) with their wireless reader and had no issues getting a reading on each sensor. They didn't have any other suggestions for me - since there is no warning light they don't think anything is wrong anyway. After a teach-in period, the tire pressure monitor automatically recognizes new wheels or new sensors. 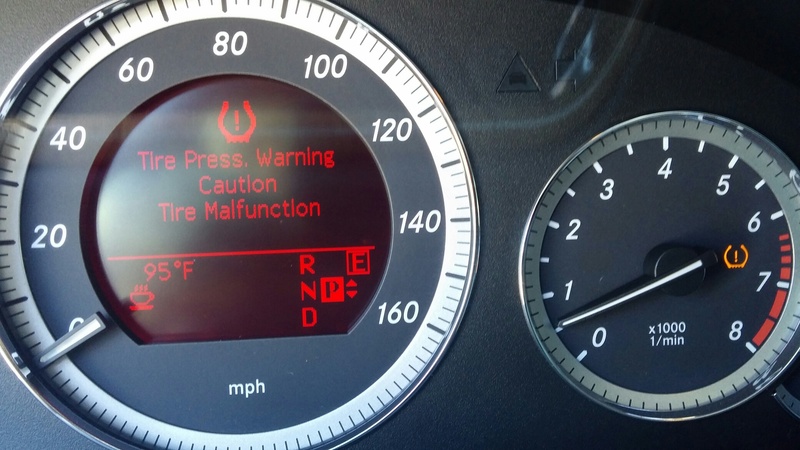 As long as a clear allocation of the tire pressure valves to the individual wheels is not possible, the Tire Pressure Monitor Active message is shown instead of the tire pressure display. The tire pressures are already being monitored. So it would seem a clear allocation is not possible so far in my case. Anyone have any ideas of what to try next? Well I guess you could try a hard reset of the TPM system by disconnecting the battery for a few minutes and then see if the problem clears from the system reboot. Just a thought. That is a bummer, Fisch. I can only think that it is the antennae receiver at one of the wheel wells not functioning properly, if the sensors are all transmitting. May have to hook up to SDS to find the culprit. Thanks for the feedback. Probably will try the battery first as I don't have access to SDS without taking to shop. You can also try pulling f70 @ rear SAM (trunk) to attempt reset. Check your email. Last edited by konigstiger; 07-13-2016 at 05:23 PM. Battery disconnect didn't make a difference unfortunately. Left it unhooked for about 15 minutes. I was visiting my local dealer this evening for something else. Talked to the parts guy, one of the techs and an experienced service advisor (read about the first SA below). None of them had any clue. In fact, they questioned whether I had the feature to display the individual tire pressures. I showed them my manual and read them the reason for getting the Active message. They said all they could do is hook it up and run a diagnostic with an appointment. The first service advisor that came out to my car noticed I had the 'replace key battery' message (hadn't gotten around to changing it yet since the key was still working and my multimeter showed 2.99V on a 3V battery - c'mon Mercedes). He suggested that the low battery in my keyfob could be related to the tire pressure issues The good news is he grabbed a spare battery and changed it for no charge. After I got my free battery, I asked to speak to someone else about it. Wow!!! The SA actually thought changing the key fob battery would fix your TPMS issue? Scary stuff. Sounds like some dealership service personnel only know to recommend the computer diagnostic. So I guess that is your next step. So no resolution yet. I plan to address this the next time I take it in for service if not sooner so they can hook it up to SDS. Thanks konigstiger for the emails with all the workshop and parts info. While I miss the convenience of being able to check the values, I wanted to be sure the system was 'active' and would alert me to a loss of pressure. So I ran a little test. I can clear the message and it does not reappear unless you check messages under the service menu. The yellow dash indicator remains lit. I restarted the car to see if message would return, but it did not - only the yellow indicator stays lit. I drove around the neighborhood at about 15mph just so see if it come up again. Restarting tpms by resetting to new reference points cleared the yellow indicator light as you would expect. I dropped the pressure to 32psi on the other rear tire (reference point of 37) and the warning message and dash indicator reappeared. Then I filled the same tire back up to 37 and the message and dash indicator went away. All I can tell you is what happened to me. I switched from stock wheels to IForged summer wheels with OE MB TPMS's installed and had the exact same problem -- "tire pressure monitoring system active" but no individual display of tire pressures. My super duper aftermarket wheel repair guy and TPMS expert (he rebuilt my IForged Seneca's 3 or 4 times so far over the last ten years), told me that if one of the TPMS's is either not functioning or its battery is weak, the system reset will not work. Testing my sensors with his wireless machine, he found two that did not display values quickly (he had to re-test them two or three times before getting a value) indicating that their batteries or transmitters were weak. We replaced those two TPMS's and within 30 minutes all four wheels displayed exact tire pressures on my instrument cluster. The phrase you quoted from the manual is stupendously unclear. I cannot be sure what it means and will surmise that neither will the dealer. Yes very unclear. I did suspect the sensors at first but maybe I was too quick to exonerate them. The guy who read them did not comment on battery strength but perhaps his reader does not give that information. From what I've read in other threads, some folks said that SDS can show the battery strength of the sensors. I though that if the wireless reader got a signal then so did the car, but perhaps if the battery is past a certain point then the system cannot specify its placement. They are 5.5 years old so it's not like they are new. I think the batteries are good for 8-10 years. I doubt that is your problem. There is no replacing batteries. The entire sensor must be replaced if the battery quits. True they are supposed to last 8-10 years. But, like any battery, the more you use them the faster the wear. So, in the case, the more miles you drive (i.e. time the TPMS transmits) the faster the battery loses its charge. Checking back in for an update. For several weeks after I posted this in mid-July, the issue persisted. After a while I gave up checking for readings and thought I would just raise the concern at my next service. However just the other day, I checked the tire pressure in the serv menu for the first time in a few weeks and the individual tire reading are back. No idea what changed. I haven't done anything but drive my normal routine since then. Just goes to show you that if you ignore your problems they do go away. Congrats. Wish that theory worked with the wife, but so far no go. All I can tell you about this is what happened to me. I switched from stock wheels to IForged summer wheels with OE MB TPMS's installed and had the exact same problem -- "tire pressure monitoring system active" but no individual display of tire pressures. My super duper aftermarket wheel repair guy and TPMS expert (he rebuilt my IForged Seneca's 3 or 4 times so far over the last ten years), told me that if one of the TPMS's is either not functioning or its battery is weak, the system reset will not work. Testing my sensors with his wireless machine, he found two that did not display values quickly (he had to re-test them two or three times before getting a value) indicating that their batteries or transmitters were weak. We replaced those two TPMS's and within 30 minutes all four wheels displayed exact tire pressures on my instrument cluster. The phrase you quoted from the manual is stupendously unclear. I cannot be sure what it means and will surmise that neither will the dealer. This was helpful. I bought 4 new OEM sensors on Amazon for $15 each . Paid a tire guy $5 each to mount them. Problem solved. No reprogramming. I did nothing else. Old sensors were 4-5 yrs old. So $80 every 4-5 yrs should keep the dash readout working.